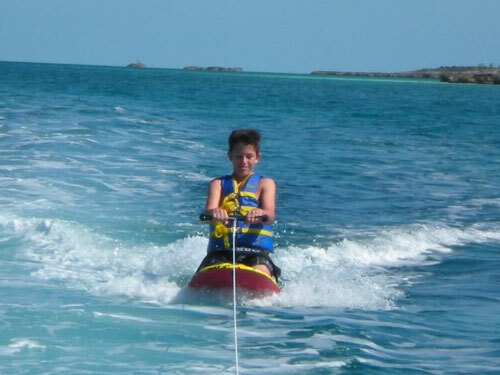 Leave the crowds behind as you explore the heritage of the Bahamas and enjoy a combination of watersports. Take in the picturesque views of the Bahamian coastline against the crisp blue sky. Explore the historic Nassau Harbour, Atlantis at Paradise Island and other iconic sites as your native Bahamian guide explains the significance of each spot. Journey under the azure waves of the Caribbean Sea as you dive beneath and explore the underwater world of these delicate coral gardens. 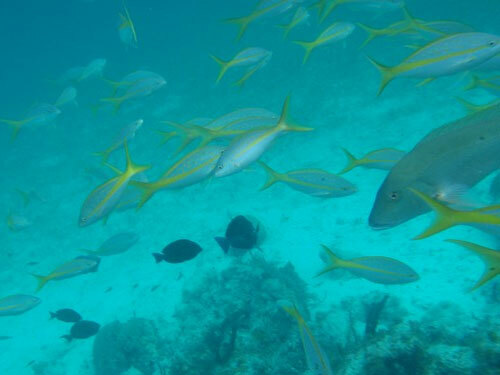 Complimentary snorkel gear is provided for a dive into the water where you’ll spot a variety of tropical fish. Leisurely swim through the ecosystem that this stunning coral reef gives rise to as schools of fish pass you by. The fun doesn’t stop there as you’ll have the chance to try one of our exciting water activities. Hold on tight as our expert operators take you for thrilling ride of water skiing, wakeboarding or kneeboarding. If you opt for the full day tour, enjoy the chance to fish these blue waters and have your catch cooked into a delicious lunch for you and your family and friends. PLEASE NOTE: Watersport activities are WEATHER PERMITTING. The watersports are more sensitive to winds than the other activities provided on this boat (Snorkeling, fishing, beach). Sometimes, the wind conditions do NOT allow us to do the watersports but we CAN still go out and do snorkeling and fishing. Please note that NO REFUNDS will be given if the winds prevent us from doing the watersports. (That being said, if the weather conditions force us to cancel the trip altogether, then you CAN receive a refund or reschedule per our cancellation policy). 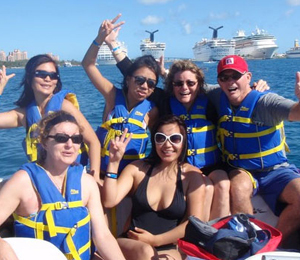 I have been to the Bahamas many times, but Bahamas Ultimate Package is one of my favorite trips! It includes everything that everyone should do here. As a Bahamas veteran, I can say only the best about this experience!